2015 is an excellent vintage, with some outstanding wines. 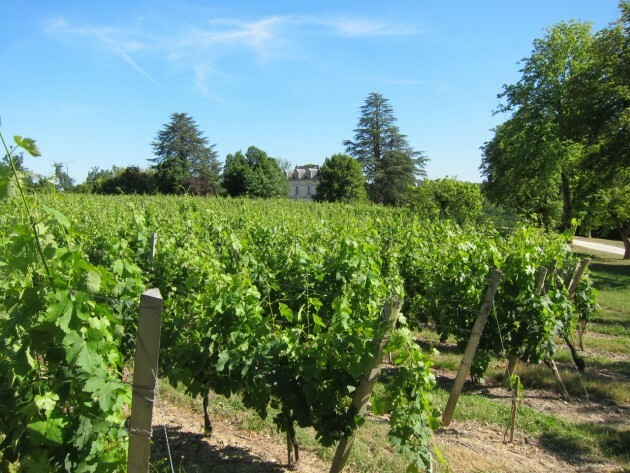 It’s an exceptional vintage for some areas and if you’re interested in the best wines for a reasonable price – for mid-term drinking (in 5-18 years) – you can find many in the appellations of Saint Emilion, Margaux and Pessac-Léognan. Pomerol is great as well but bargains are harder to find, while the lesser known areas on the right bank have produced numerous delicious wines. It’s Bordeaux en primeur season, when email inboxes can become stuffed with offers of the latest vintage. 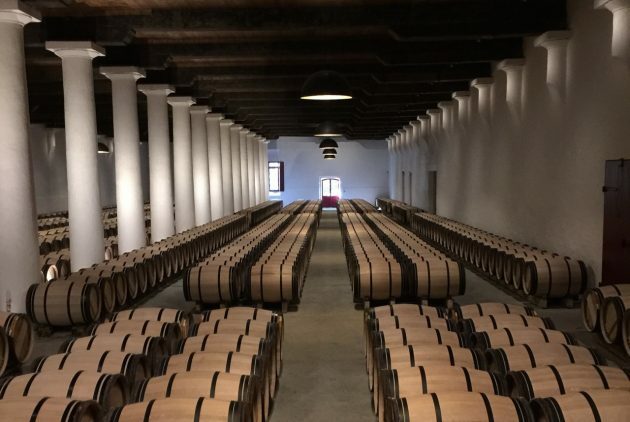 I went to 50 chateaux over a period of ten days earlier in the month, as you do, to taste the 2015s from barrel, and my report for Harpers (a trade mag) is published today. I’ve listed my scores on the best 250+ reds and 50 whites below. Scores on the top names from 9 leading critics, and mine for some reason, can be compared on this handy ‘critical opinion’ page on Liv-ex, the fine wine exchange. Many of these are likely to be of interest to UK en primeur buyers; they are listed by appellation. This was my sixteenth consecutive year of tasting barrel samples from the top estates. NB With prices starting to come out, I’ve noted the release price for the 2014 en primeur as a guide, as quoted by Liv-ex, for many but not all of the wines. The price is per case of 12, in bond (excluding duty and VAT). UK prices for the 2015s will undoubtedly be higher, if only because of the exchange rate. 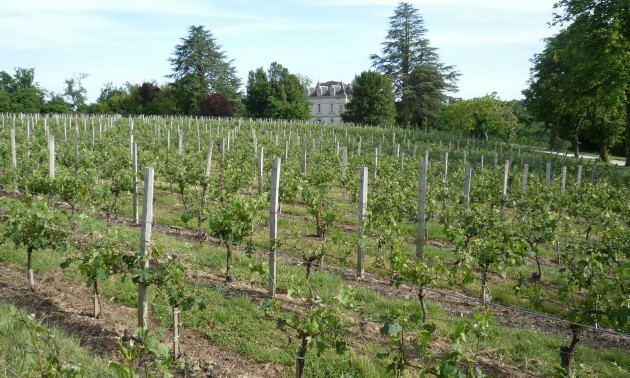 As a backdrop to the official ’en primeur’ tastings in Bordeaux next week, here’s my report on how the weather had an impact on the 2015 vintage. The graphs and images should provide a Bordeaux enthusiast with a fairly thorough grasp of how this fine vintage came about, and also why there are regional differences. It’s a seriously long post, so you may prefer to download it as a pdf – ideal for reading later on an iPad or large mobile. This was also published on jancisrobinson.com and Livex. 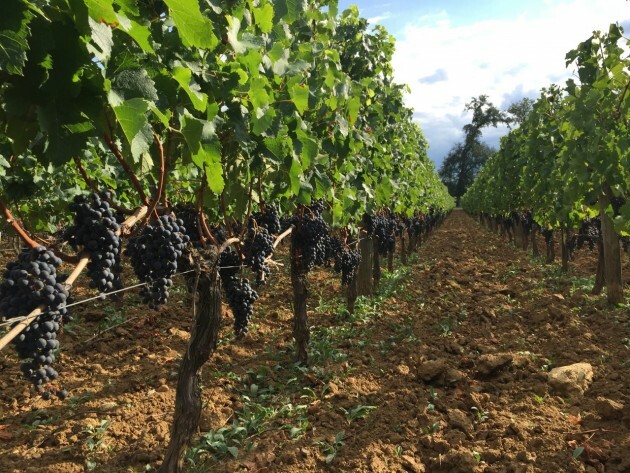 With the last of the Cabernets having been picked in Saint Emilion during the penultimate week of October, the Bordeaux 2015 harvest finally drew to a close. It seems a long time since the first bunches of Sauvignon were snipped from the vines in Pessac-Léognan at the end of August. 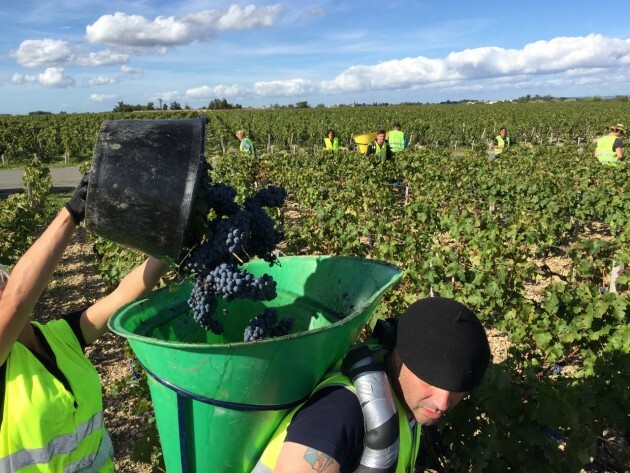 The Cabernet Sauvignon harvest at Ch Lafite Rothschild. Here’s an update on the Bordeaux harvest since my last report on 8 September. 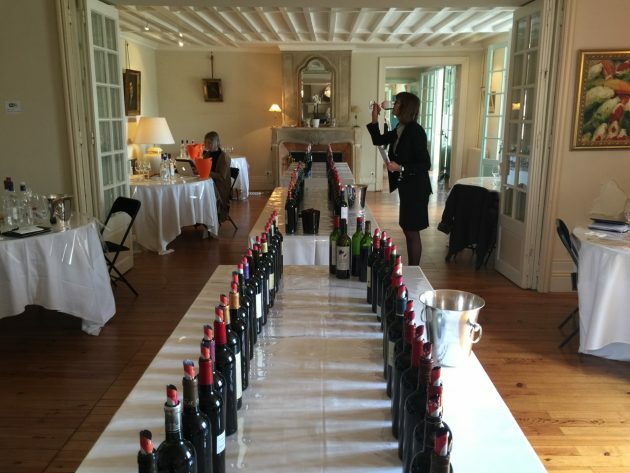 This was published on JancisRobinson.com (click on the Bordeaux 2015 tab for related posts on the site) and on Livex, the fine wine exchange. After a dry start to September, when most of the dry whites were picked, there were heavy, localised showers just as the Merlot harvest began in some areas in the middle of the month, before clear weather returned from Sunday 20 September. Other than some rain on Tuesday 22, it’s been clear and dry and, crucially, the forecast is good for the rest of the month. This was published on JancisRobinson.com (click on the Bordeaux 2015 for related posts on the site) and on Livex, the fine wine exchange. 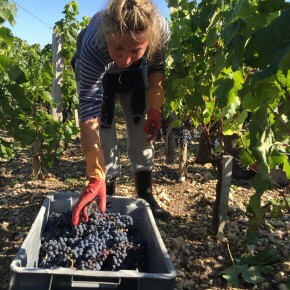 It’s a risky business, predicting a wonderful vintage before hardly a red grape has been picked, so, for the moment, here’s an interim update on how things are going in Bordeaux at the start of the harvest. There’s still a way to go. A month is a long time in viticulture and many growers were concerned as recently as the first week of August about the extremely dry conditions we’d experienced since mid-June. 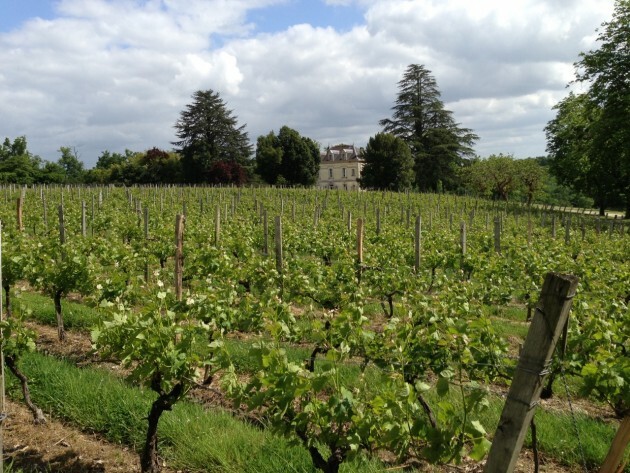 (See Bordeaux 2015 – dry and sunny, still.) Then the rain came in August, refreshing the vines as the bunches changed colour. Summer seemed to slip into autumn with the arrival of September, with cooler nights and fresh, sunny days right from the start of the month. That’s good news for the white wine harvest, which is now well under way in the Graves and the Entre Deux Mers, having started earlier, as always, in the warmer vineyards of Pessac-Léognan. Forget the rain dance. Our review at the end of July, following six weeks of drought, was called ’Time to borrow some rain’ and it did the trick: Mother Nature acted on the collective response of ’you’re bloody welcome to it’ with some heavy showers in August. 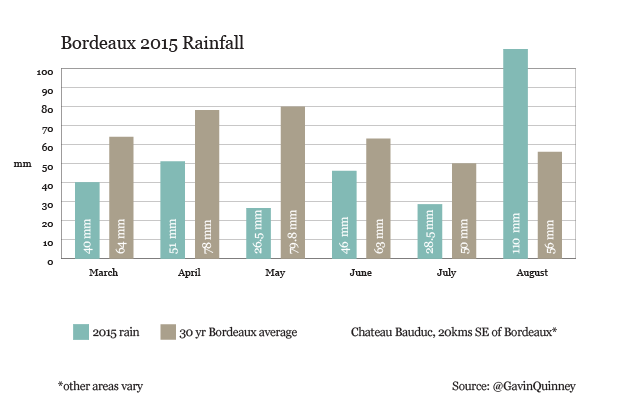 In fact, we had more rain at Bauduc in August than in the three previous months put together. Conveniently, the last instalment of rain was on 31 August, which is just as well. Here are some pics and, yes, a weather graph or two. At Bauduc, we had half the normal rainfall in May, June and July combined, then twice the normal rain (or the average over 30 years) in August. No rain since the (UK) Bank Holiday Monday, with none forecast for the first ten days of September. This post is also published on JancisRobinson.com and Liv-ex. ’Come at the end of June’, I said to my mother when we arranged for her to stay, a while back. 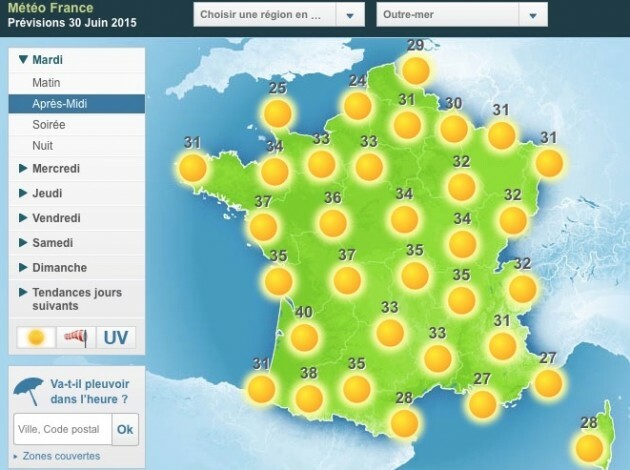 ’The weather should be nice then.’ It has indeed been hot and sunny but we certainly weren’t predicting that the temperature could reach 40°C this afternoon. We – and the vines – are bracing ourselves for a heatwave over the next week, with the odd storm mixed in for good measure. The vines are coming into flower. 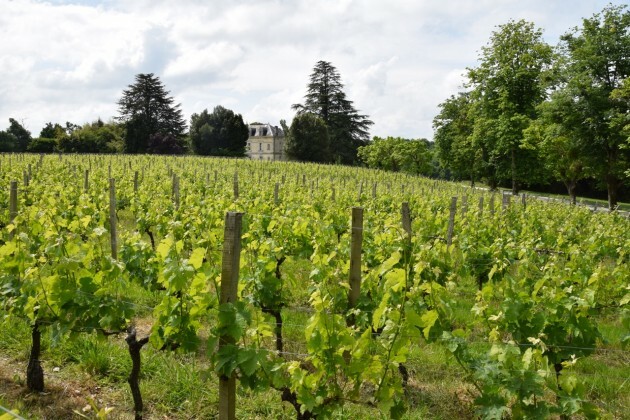 I’ve taken a picture of the vineyard in front of the chateau on the 23rd May each year – it started that way – and the photos show just how different the uneven years have been. 2009 just after the hail, 2011 way ahead of other years, 2013 limp and lagging well behind, and now with 2015 looking strangely normal for the time of year. 23 May 2009, Chateau Bauduc, after hail 10 days before. 23 May 2011, Chateau Bauduc. An early vintage that got off to a flyer. 23 May 2013, Chateau Bauduc. Way behind – and in August, we’d be hit by hail. 23 May 2015, Chateau Bauduc. Verging on normal.